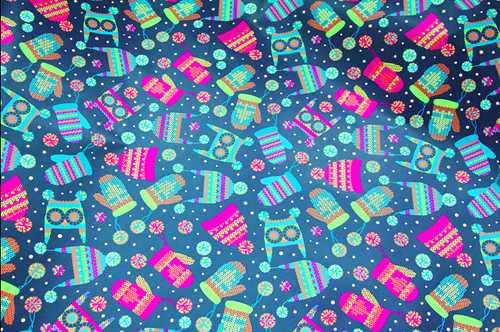 So happy to be in the top ten last week at Spoonflower for the Mittens Gift Wrap contest. I love how they have photographed the top ten designs. 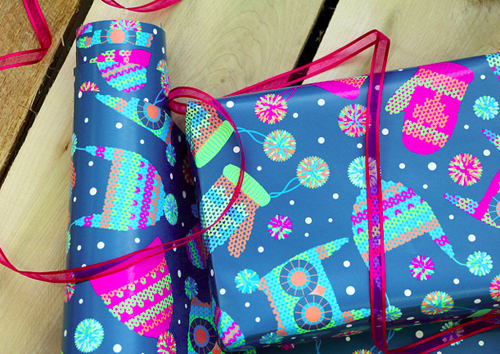 As you can see below they have been printed as gift wrap, wrapped a box and added a contrasting ribbon.